Make a paste of the olive oil, the spices, the garlic, chilli and parsley. Add a little salt and rub this over the chicken pieces, coating them thoroughly. 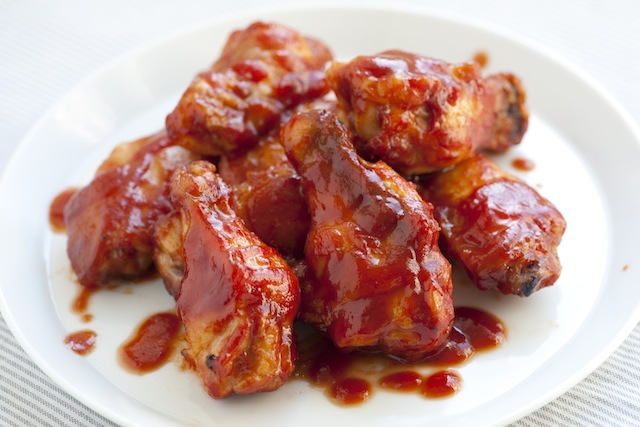 Leave to marinade for at least 30 minutes. 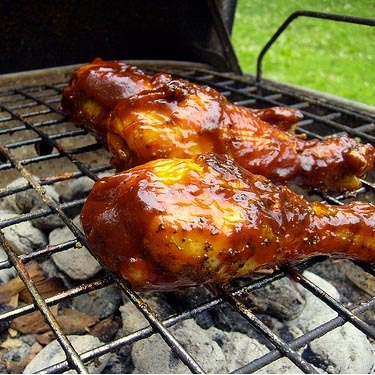 Get the barbecue good and hot, but turn the burners down before adding the chicken (or use a ridged skillet). Put the chicken on the grill, skin-side down, and cook for 5 minutes, taking care not to let the spices burn too much.